Daniel Arthur Honey, Sr. was born on November 18, 1961, in Manhasset, New York. He transitioned on August 13, 2018, in Farmersville, Texas, at age 56. Daniel graduated from Great Neck South High School in Great Neck, New York. He went on to enlist in the Marine Corps. Reaching the rank of Lance Corporal, he was stationed for the longest period in Kãnéohe Bay in Hawaii. 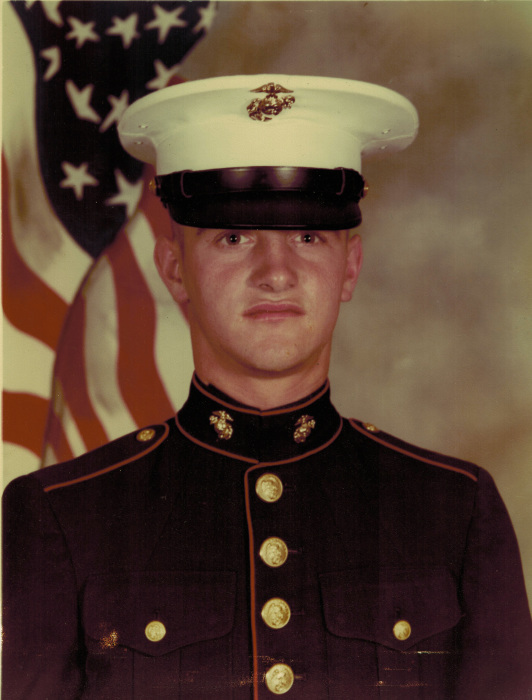 After being honorably discharged from the Marine Corps., Daniel attended college. He enjoyed a life-long career as a Computer Hardware Engineer. Affectionately regarded as "Groot" by his only grandchild, Daniel enjoyed spending time with his family. In addition to having a sidebar of brilliance in auto mechanics, he was an advanced rescue-diver and expert Marksman, a skill which he delightfully shared with family and friends. A funny, strong, compassionate, determined, and hard-working man with a memorable sense of humor, Daniel will be dearly missed by all who knew and loved him. Daniel was predeceased by his sister, Karen Honey, and father, Donald Honey, Sr. Those left to cherish fond memories include his wife, Jacquelyn Honey; daughter, Danielle Honey; daughter, Sydney (Honey) Frese and her husband, Chris; son, Daniel Honey, Jr.; granddaughter, Everleigh Violet Frese; mother, Mary Honey; brother, Donald Honey, Jr.; brother, David Honey and his wife, Jolie; brother, Frank Honey and his wife, Heather; sister-in-law, Linda McMillan and her husband, Matt; brother-in-law, Charles Fochi, Jr. and his wife, Christina; and a host of other relatives and friends.